I live in a one bedroom apartment with no balcony or garden. I’m running out of space for plants on my windowsills. I bought a clothes airer that fits over the back of a door that I thought I could dangle plant pots from. I couldn’t find any commercial hanging pots that were small enough not to break the plastic airer. 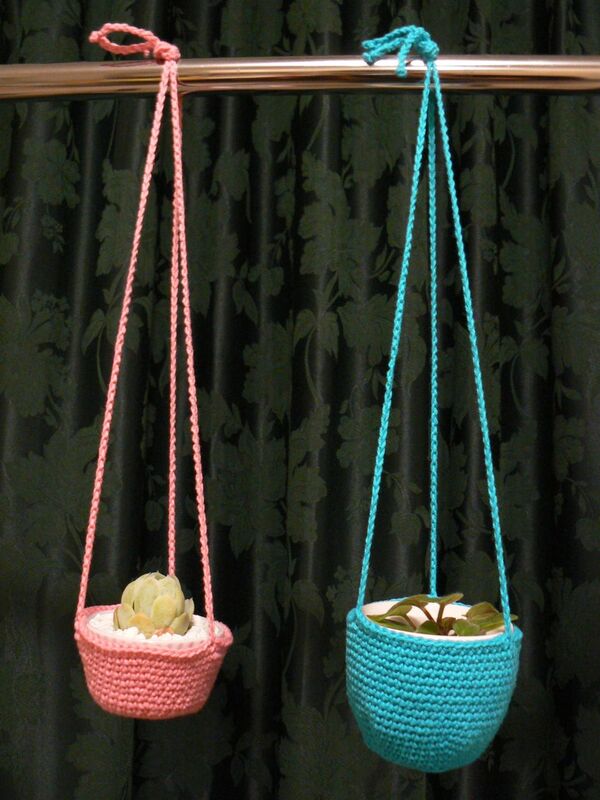 So I thought I would make my own solution, crochet plant holders for small pots. To make these you will need a 2.5 mm hook and 8 ply cotton. 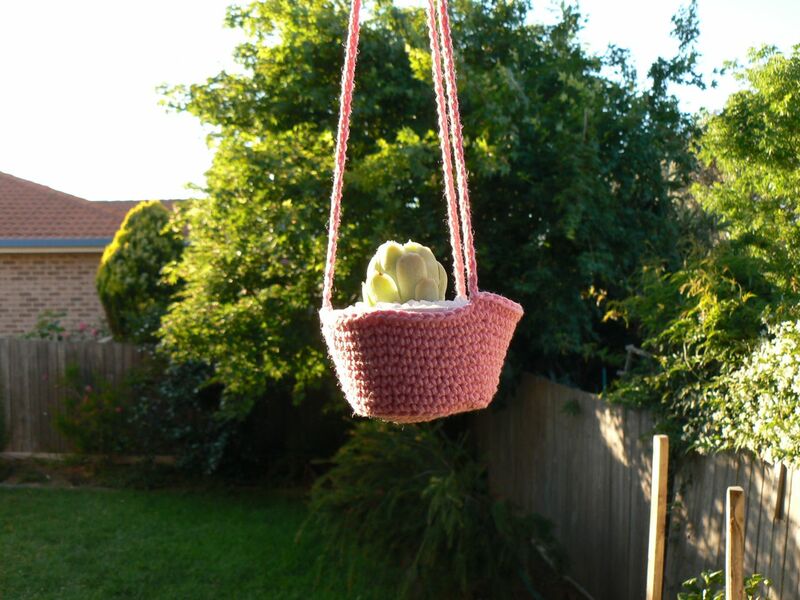 The pattern is written in American crochet notation. All pots are different sizes so you just need to adapt the pattern to fit the pot you’re working with. My pots are both about 9 cm across. The patty pan pot is 5 cm tall. The fancy curvy pot is 8 cm tall. Chain 80 (or however long you want your hangy bits to be) and fasten off, count a third of the stitches around the pot hanger (so in my case 20 stitches), attach the wool and make another chain. 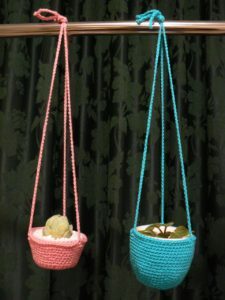 Then count a third of the stitches around the pot hanger again, join the wool and make a third chain.